Problems such as marital infidelity, infertility, not being able to get married, epilepsy, schizophrenia, family problems, financial problems etc. are experienced in every community. However, there is a tendency amongst some sections of the Muslim community to blame everyday problems on spirit possession or black magic. tendency to blam e this on spirit (jinn) possession. This arises from the fact that Muslims believe in jinn (supernatural creatures made from fire) as they are mentioned in the Quran. The belief that Jinn can cause mental illness in humans through affliction or possession is also widely accepted among Muslims. Muslims therefore tend to seek religious interventions to cure mental illness instead of seeking medical help. They will contact religious leaders / healers and ask them to remove the spirits (carry out an exorcism) instead of speaking to doctors. Unfortunately many charlatans pretending to have powers to perform exorcism (ruqyah) are setting up and exploiting such beliefs and making lots of money. Some of these so called spiritual healers also use their positions of trust and respect in the community to exploit vulnerable adults and children by sexually abusing them. 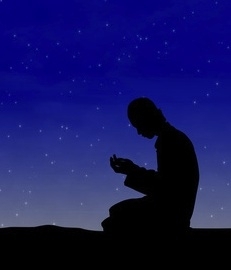 There is disagreement amongst scholars whether a jinn can actually possess humans or afflict pain and disease on them depending on how they interpret particular verses in the Quran and certain hadiths. Some scholars do believe that this may happen. Of those, some believe that the likelihood of possession is very low and that medical explanations are most likely for mental health issues. On the other hand, some other scholars are of the opinion that jinn cannot possess human beings, nor can they harm them. The delay in seeking medical help means that the mental health problem worsens. In fact some of the 'treatments' to get the body rid of the jinn can be violent and involve beating the person who has been accused of spirit possession. This also results in an escalation of the mental health illness. If you are concerned about your mental health or that of a family member, it is important to contact your GP and seek medical help. Any mental health issues are most likely to have a medical reason. Even if you wish to pursue a religious intervention because you believe it is a jinn possession, you should also seek professional medical advice.